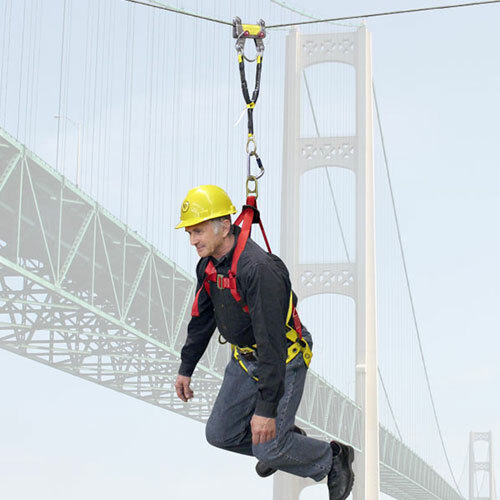 MIO Mechanical Corporation designed a new group of bi-directional rope and cable grabs. 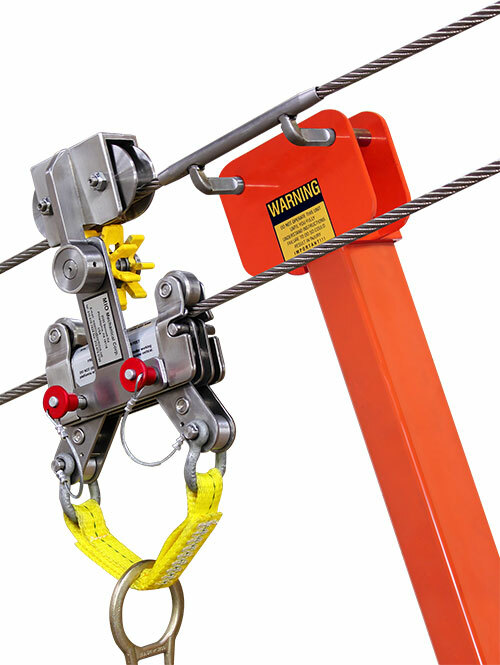 These grabs prevent slide along the angled lifeline in case of a fall. 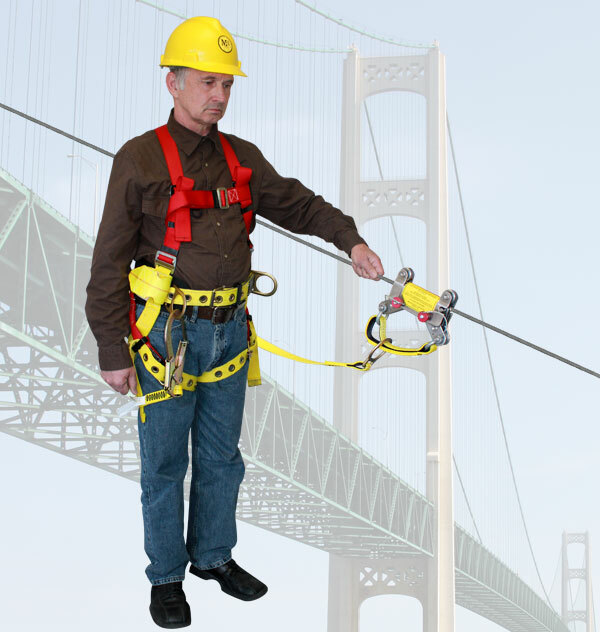 Horizontal lifeline (HLL) fall protection system typically incl udes: professionally engineered and installed horizontal lifeline, Unitensioner® or other devices that provide line tension and shock absorbing capabilities, anchors meeting OSHA and ANSI requirements, full body harness, lanyard used to attach the worker to the lifeline via hook, ring or other attachment devices. 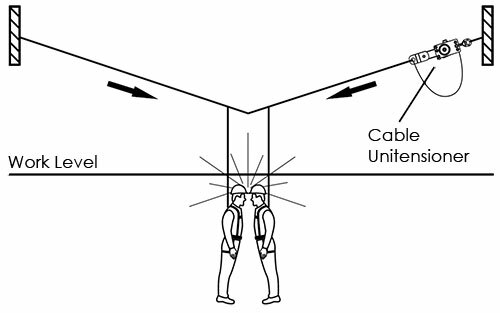 In the event of a fall, the HLL will deflect forcing workers to slide toward the point of deflection, potentially colliding with each other. 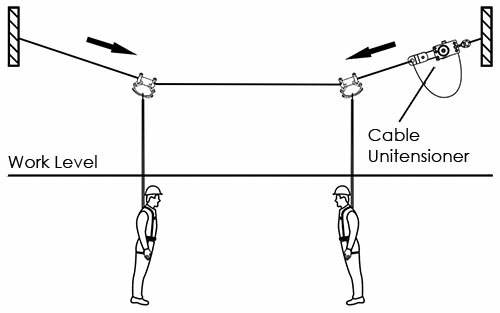 Bi-directional Cable Grabs with Rollstar allow worker to walk along the angled or horizontal lifeline and bypass intermediated supports without a need to disconnect from the lifeline. 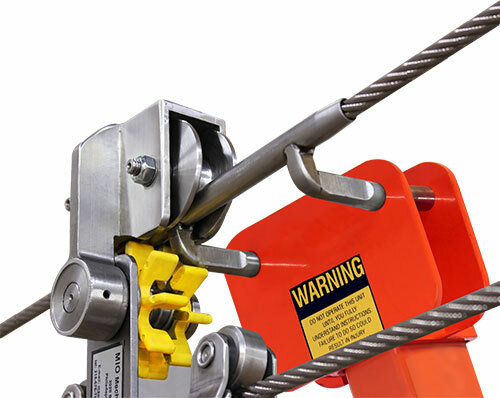 In the event of a fall, MIO Bi-directional Cable Grabs will prevent an uncontrollable slide ensuring workers safety. 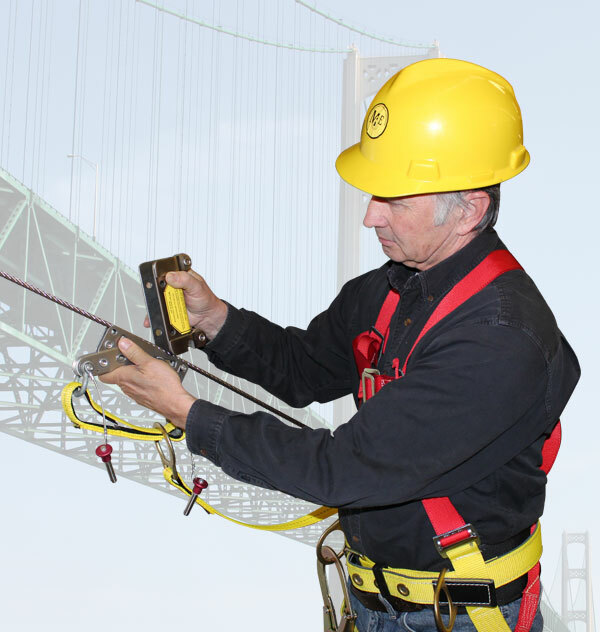 During a fall, a specially designed retractable lanyard activates MIO Bi-directional Cable Grab’s mechanism, arrests the fall and prevents slide of a grab along the angled line. 53-HCG Bi-Directional Cable Grab for Horizontal Lifeline with adjustable lanyard, shock absorber and a hook. 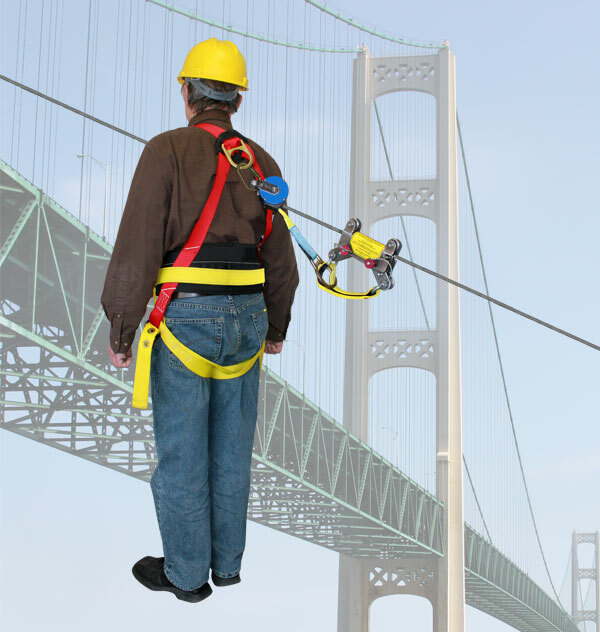 58-HRG-1 Bi-Directional Rope Grab for Horizontal Lifeline with adjustable lanyard, shock absorber and a hook. 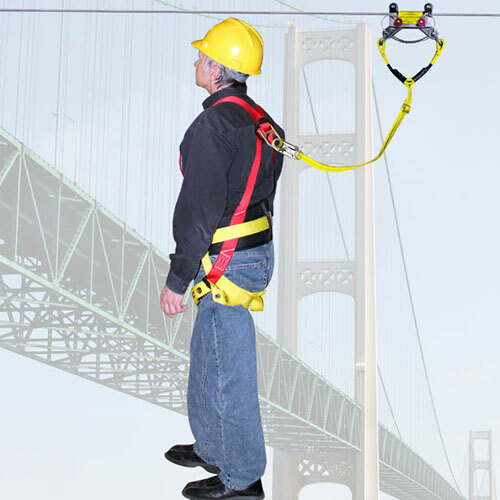 58-HRG-2 Bi-Directional Rope Grab for Angle Lifeline with adjustable lanyard, shock absorber and a hook. 58-HCGR Bi-Directional Cable Grab for multispan Hotizontal Lifeline with adjustable lanyard, shock absorber and a hook. 53-ACGR Bi-Directional Cable Grab for multispan Angle Lifeline with adjustable lanyard, shock absorber and a hook.